The inaugural OSD cross-district FRC met the “Stop Build” date deadline by bagging-and-tagging their robot before midnight on Tuesday, February 19. This event punctuated an intense 6 week design and build process that began at the FRC Kickoff on January 5, where the learned the details of this year’s challenge, Ultimate Ascent. 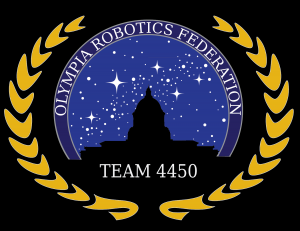 The Olympia Robotics Federation (ORF, Team #4450) is a FRC rookie team, combining the efforts of high school students across OSD. While based at Capital High School, the modular design approach adopted by ORF allowed the major scoring component (a Frisbee launcher) to be largely designed and developed at Olympia HS. This video shows the team’s final test run just prior to the bag&tag deadline yesterday, while this video shows a test of the Frisbee launcher from earlier in the Mid-Winter Break weekend. Congrats to all the member of ORF!! 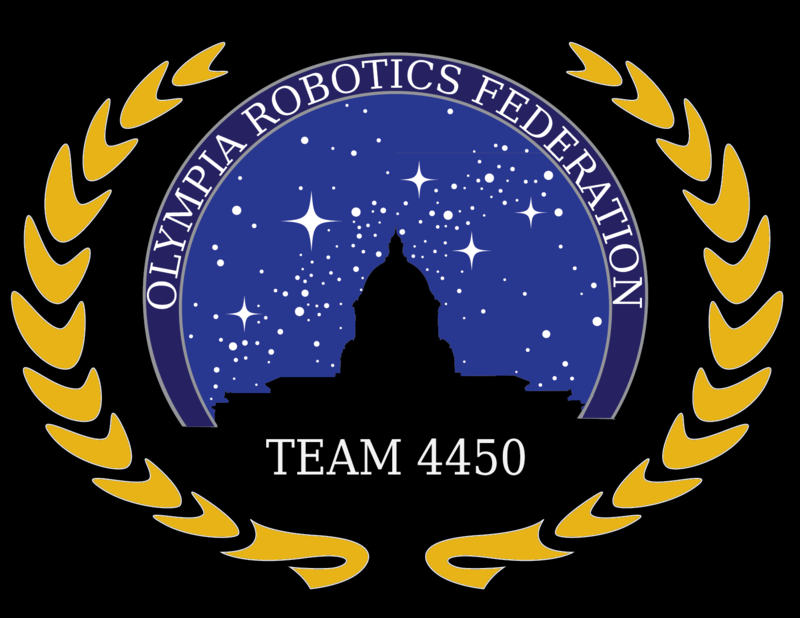 The team will now shift its focus to building a semi-clone of the competition robot so they can continue to refine the hardware design and develop/improve software before the March 28-30 competition at the CenturyLink Event Center in Seattle.